Day 1 was a beautiful morning. The morning started with a dawn patrol and light winds to the south with a ever so small box. As the balloon of the day Canon took off and the sun rise over the Sandias the box became more prominent while there was still some clouds. 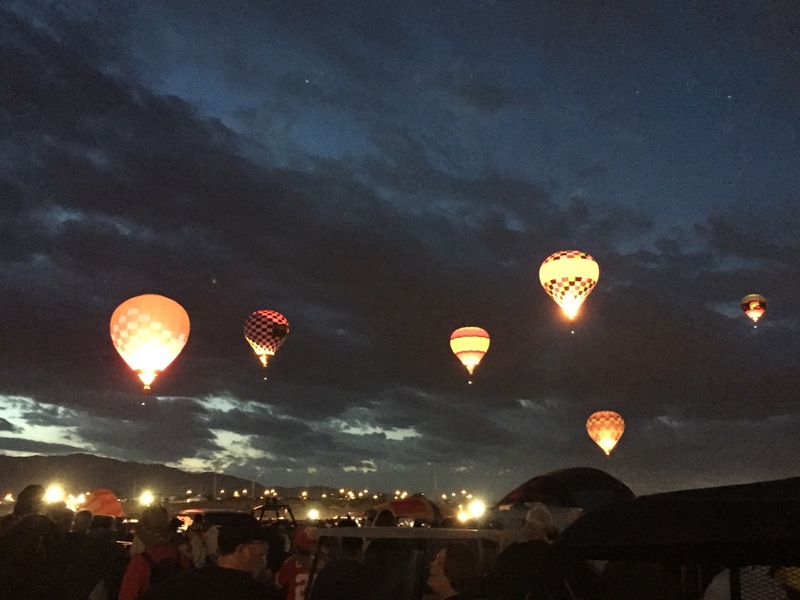 As nearly 600 balloons took the air the beautiful blue New Mexico sky came I to view. The crowds were very large and many balloons were able to land back on the field. Check out some of the photos of the morning.